Cdg. 25th Inf. Bde. 8th Div. Order of Danilo, 4th Class (Montenegro). 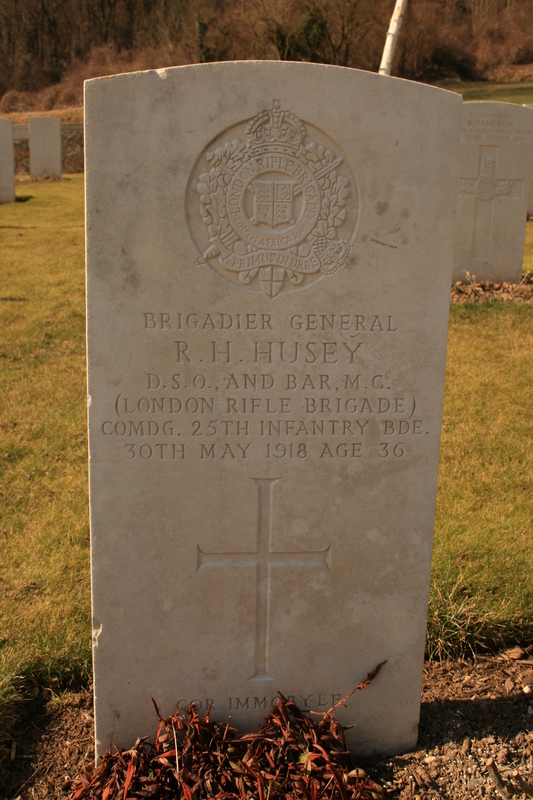 Son of C. Hubert Husey, of 65, Cornwall Gardens, Kensington, London. Landed in France 4th Nov., 1914. Four times wounded.